When your Chronic Kidney Disease (CKD) gets severe enough, waste products and extra fluids build up in your body. Eventually, this gets so bad that your activities are limited and ultimately your kidney failure results in hospitalizations and death. Fortunately, dialysis is available to markedly improve your health and prolong your life. For most patients, transplant is a better treatment than dialysis. Transplant usually results in your having more energy than when on dialysis and generally leaves you feeling better than when on dialysis. There is also usually more freedom with your daily schedule than when on dialysis. Transplant patients also live longer than those who remain on dialysis. What Do I Do to Get a Kidney Transplant? After an initial conversation with your nephrologist (kidney doctor) you will be referred to a kidney transplant program unless either you absolutely do not want a transplant or if you have a health problem that will make transplant impossible. The choice to get a kidney transplant requires lots of education about the entire process so you know exactly what to expect and what complications may be. You also need to know what is required from you after the transplant. Therefore, the transplant evaluation will include a long education session. Also, because kidney transplantation is a complex surgery, the transplant team needs to make sure that you are healthy enough to safely get through the surgery. They will examine you carefully and order necessary tests and ask you to see certain medical specialists depending on your hearth history. 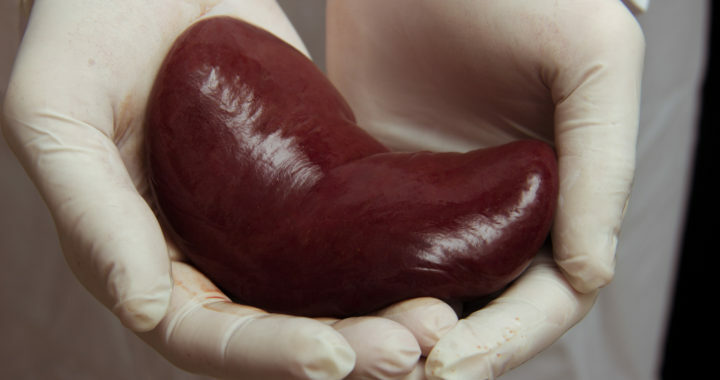 You will see a Transplant Nephrologist who is a medical doctor specially trained to take care of transplant patients including helping to decide who is appropriate to get a transplant. You will see a Kidney Transplant Surgeon who is specially trained to decide who is appropriate to get a transplant and to do the transplant itself. During the transplant evaluation, you will also meet with a social worker and dietician as well as possibly other members of the transplant team. You should undergo an evaluation for a kidney transplant when overall kidney function is 20% or less. If you are already on dialysis, the amount of time you have been on dialysis will be added to your total time on the waiting list allowing you to move up the list faster. When do I Find Out if I Can Get onto the Transplant List? After you have the transplant evaluation and all the tests and specialist appointments that are needed, the transplant team will meet to discuss your case. There are several possible results of the meeting. They may decide you are ready to be active on the list. That is call being status 1 and you begin getting credit for your time waiting on the list. If you are status 1, you can get a transplant at anytime that a kidney is obtained for you. They may decide you are almost ready to be active on the list. This is called status 7. If you are status 7, you are getting credit for your time on the list but you cannot get a transplant if a kidney is ready for you because there is still at least one outstanding test or doctor visit. If there is a condition that makes kidney transplant not possible, you will be declined. If you are declined, you can still try to be evaluated at another program as not all programs have the same rules for getting on the list. Your Nephrologist can help you decide if additional evaluations are worthwhile. Unfortunately, the wait list for a deceased donor kidney is long. A deceased donor is someone who was generally healthy and died of a condition that did not severely affect their kidneys. The exact wait list time depends on your blood type. Some patients go to get on the list in other parts of the country that have shorter lists. Some fortunate patients get a perfect kidney match even when they are way down the list. This is not common, but a perfectly matched kidney goes to a person on the wait list even if they were listed only yesterday. How About Living Kidney Donation? Once you are on the transplant list as a status 1, you can have any possible donors evaluated to give you a kidney. Your possible living donor can be a relative or a friend/spouse who is not related to you. You cannot pay them in any way other than a very appreciative thank you. Donating a kidney is generally safe and the donor gets a wonderful feeling that they really helped someone they care about. Do not hesitate to ask, kidney donation can be great for both you and your donor. Do not wait for them to ask as donors often say they did not offer sooner since they were not asked. If your donor is healthy but not suitable for you, there are even ways to work around that. A national kidney registry is an option when you have a donor, but if they are not a match for you, then you can enter in a list of other pairs of recipients and donors from all over the country to increase your chances of getting a kidney from a living donor. How do We Decide that a Kidney is Right for You? When it is your turn to get a kidney, we check your blood to make sure it is compatible with the kidney. Do not be surprised if you are called several times about possible kidneys until we find the right one for you. Because the timeframe to get the kidney into a patient is rather short, several people are notified that they may get a kidney so the kidney will have someone who can get it. If you have been sick, please let the transplant team know. When it is determined that the kidney is for you, you’ll receive a call telling you to get to the hospital right away. After you get that call, don’t eat or drink anything. When you hear from the transplant program, come as soon as possible and bring all your current medicine bottles. Bring all the things you will need in the hospital like personal items and some clothes you may want. What Happens During Kidney Transplant Surgery? You’ll be given anesthesia, so you stay asleep the whole time. The kidney transplant surgeon will make an opening in your abdomen, just above your groin. the donor kidney will be put in without your kidneys being taken out. Your new kidney will be attached to your blood vessels and to the bladder so urine can leave your body. The opening will be closed but a small drain may be put into your abdomen to get rid of any fluid that’s accumulated either during or after the surgery. You will also have a tiny tube called a stent going from the bladder to the kidney to make sure you can pass urine easily. The stent will be removed probably 6 to 12 weeks after surgery by a simple procedure. Once you receive the new kidney, you will immediately begin treatment with various medications that prevent your immune system from rejecting your new kidney. Once the anesthesia has worn off, you are likely to feel some pain at the site of the incision. This is normal. If necessary, you will be given painkillers for a short while. We want you to get out of bed the day after surgery if possible. Eventually, we will have you walk more and more. You will be likely to stay in the hospital for at least 5 days. If you were on dialysisprior to the transplant, you may need dialysis in the days after surgery if the kidney takes a while to start working well. Sometimes, patients need to go back to their units for dialysis after the transplant until the kidney starts to work well. You will likely start to feel much better in about 2 weeks if the kidney is working well. Your doctor will likely tell you that you cannot drive or lift heavy objects for a period of time depending on your health. Depending on the type of work you do, your doctor will probably advise you to take off work for up to 6 to 8 weeks. To stop your body from rejecting the donor’s kidney, you’ll need to take a special medication every day. At first, you may also have to visit your doctor 2 to 3 times each week to make sure your body is healing the way it should. Over time, these visits will become much less frequent. You’ll recover faster if you stay active. Your doctor will tell you what exercises are safe to do and for how long. Many people start with walking and stretching, then slowly build up to longer and more intense workouts. But contact sports, like soccer and football, will be off-limits since you could harm your donor’s kidney. Giving up smoking and alcohol are key to staying healthy. You may also think about talking to a dietitian about healthy meal planning. You’ll be able to eat more fruits and vegetables and drink more liquids than someone on dialysis. But you’ll also need to choose foods that can keep your blood pressure low and blood sugar stable. How Does a Living Donor Kidney Differ? There are 2 major differences. First, the transplant is planned so you know when it will happen. Second, living donor kidneys almost always work well enough that dialysis after the surgery is usually not needed. How Often will I Need to See My Transplant Team After the Transplant? After the transplant, several things need to have close attention. You have just had major surgery so the procedure itself needs to have follow up. You will be on powerful medicines to decrease the possibility of rejection. These need to be adjusted and monitored. Your kidney failure will need to be managed as with various blood chemicals. Initially, expect to be visiting the office 3 times each week. Over time, the frequency will decrease. It is very important to follow all the instructions from the team. If you are not sure, ask questions. You should start to feel much better in about 2 weeks, you won’t be able to drive or lift heavy objects for about a month. Your doctor will probably advise you to take off work for 6 to 8 weeks. Your recovery will go better if you stay active. Your transplant team will tell you what exercises are safe. Most people start with walking, then slowly build up to longer and more intense workouts. Contact sports will not be allowed after you have a transplant since you could harm your transplanted kidney. What are Things You Can do to Help the Post-Transplant Process go Well? You should avoid smoking after the transplant. Smoking can reduce the life of your new kidney and can increase your risk of developing some types of cancer and of developing heart and blood vessel diseases. Heavy alcohol use should be avoided. An occasional drink is ok. The transplant dietitian will help you with healthy meal planning. Compared to your time on dialysis, you will be able to eat more fruits and vegetables and drink more. You will still have some dietary restrictions based on your personal situation and the dietitian and medical doctors will help you with that. You should avoid eating foods that carry a high risk of food poisoning, including undercooked or raw meats, fish and shellfish; foods containing raw eggs and unpasteurized cheese, milk or yoghurt. You should avoid taking any recreational drugs after a kidney transplant, as they can damage your kidneys, cause your blood pressure to increase and effect your immunosuppressant medications. Always check with your care team before taking any medication. That includes medications that another doctor gives you as well as over-the-counter medication and herbal treatments. Your transplant team will make sure you do not receive medications that can be potentially harmful to your kidney transplant and that can interfere with your immunosuppression medications. You must take all your transplant medications. Avoid being out of them. If you have a problem getting your medications, call the transplant program. Take all your anti-rejection medications exactly as they are prescribed without ever missing them, if you stop taking them, then your immune system will wake up and start attacking the kidney. You will have to take these medications twice a day every day for the rest of your life to keep the kidney working well and to be able to stay off dialysis. While the kidney transplant medicines prevent your immune system from attacking your new kidney, they also decrease the ability of your immune system to protect you from infections. Therefore, you will need to take extra precautions to prevent getting infections. You will need to avoid contact with people you that know have infections. It is particularly important to watch out for people who have serious viral infections like chickenpox and the flu. You will need to be in the habit of washing your hands regularly with soap and hot water. This is particularly important before preparing food, before eating meals and after going to the toilet. You will need to pay more attention to any cuts or scrapes of your skin. If these happen, clean the area thoroughly with warm water, dry it, then cover it with a clean bandage. Check it daily for signs of infection such as surrounding redness, warmth and/or pus. If these are present, contact the transplant program. If the wound looks ok (note that a small bit of redness immediately around the wound may be just part of the healing process), then cover it again with a clean bandage if it is not mostly healed yet. It is very important to keep your vaccinations up to date. However, you won’t be able to have any vaccines that contain live viruses. The transplant program can tell you what to avoid and what you should have. The main live vaccine that you should avoid in the measles, mumps and rubella (MMR) vaccine. The pneumonia vaccine is fine. It is very important that kidney transplant patients get the flu shot each year but only get the inactivated flu vaccine (flu shot). The flu vaccine also comes in live (or attenuated) form that usually comes in the form of a nasal mist. Do not get the live or attenuated vaccine. When Should I Call a Transplant Doctor? Having a kidney transplant puts you at risk for health problems like high blood pressure and diabetes. You’re also more likely to get infections. This could occur at a particular site like your incision or your lungs. It could be an infection that affects your whole body like when you have the flu. There is also a chance your body could start to attack (reject) the donor kidney. Call the transplant doctor prior to having any procedures or starting new medicines to make sure that it is safe for you and the kidney transplant. Also, to make sure that any new medicine will not interact with your anti-rejection medicines. Posted in CKD Patient Education Posts.